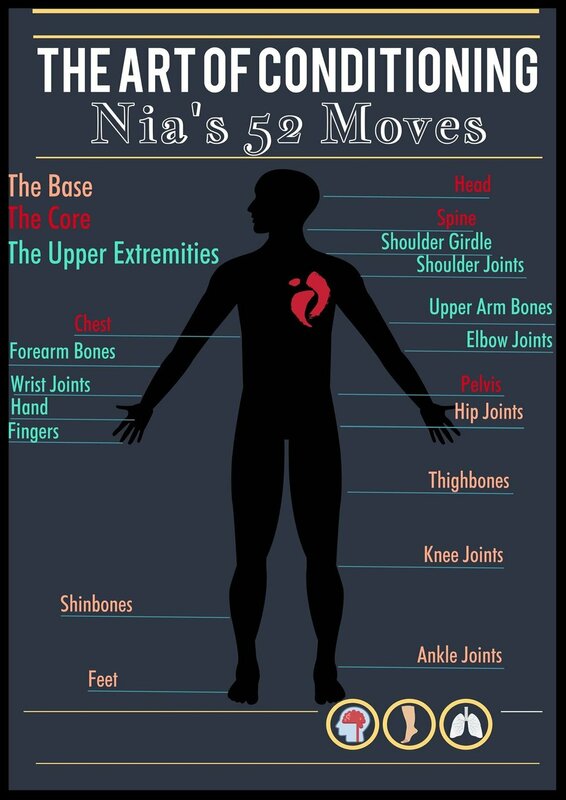 Would you believe there are 52 moves used in different combinations in all Nia routines? Through the variety of combinations possible, we get a complete conditioning workout, from bottom to top. I know the saying is top to bottom, but in Nia, when learning a new routine, a new body of work, we begin with the base. Newer PostWhy do we dance barefoot?